in AZ? And that’s if there are no children involved! Add kids or a soon-to-be-ex spouse who is contesting the divorce, and there is even more legal paperwork to get through. If you hire a lawyer to help you take care of all that, things can get very expensive – very fast. To avoid that expense, use Affordable Legal Document Specialists, a document preparation service, instead. We will help you fill out all the correct forms for your do-it-yourself divorce in AZ, as well as help you file them correctly. We can also help you with serving divorce papers on the other party and making sure that all follow-up responses are taken care of. County websites have the basic information you need to get started on a do-it-yourself divorce in Arizona. These sites link to all the legal divorce documents needed, as well as step by step instructions for the DIY divorce process. But do it incorrectly, and the judge is likely to dismiss the whole case. Obtain the summons and preliminary injunction forms. Fill out the correct version of the Petition for Dissolution of Marriage form. Complete the Notice for Right to Convert Health Insurance and Notice Regarding Creditors forms. Make two copies of all divorce documents. File the legal divorce forms with the court. 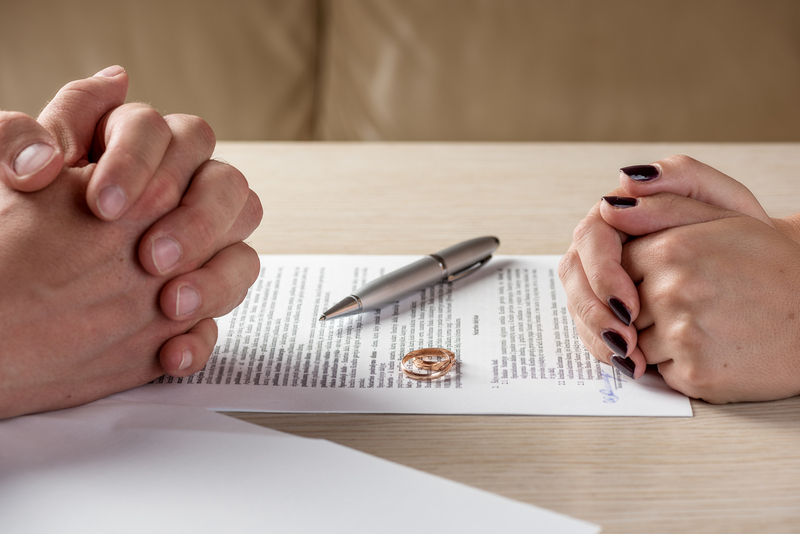 Arizona is a no-fault divorce state, which is a big plus if you and your spouse wish to remain amicable throughout the do-it-yourself divorce proceedings. This is because with no-fault proceedings, neither you nor your spouse will be made to drag one another through the proverbial mud to prove wrongdoing in order to get a divorce request granted. Make sure you or your spouse has been living in Arizona (or stationed here as an armed forces member) for at least 90 days. If children are involved and the divorce proceedings will involve the determination of custody and child support arrangements, the children should have lived in Arizona for at least six months before you file. Obtain the summons and preliminary injunction forms. On these forms, you’ll have to provide general information about yourself such as your name, address, telephone number, and other details. You’ll also be required to describe the other party. When filling out a petition for dissolution of marriage, ensure that you choose the right one. There is one version of this form for divorces involving children under 18 years of age and another version for divorces affecting minor children. You’ll be asked to provide a wide range of information on this form, such as details of any property owned, debts, and information about the marriage itself. If you changed your name when getting married and wish to go back to using your maiden name, be sure to specify that as a “Request to the Court” on this form. There are two notice forms that you’ll have to complete: “Notice for Right to Convert Health Insurance” and “Notice Regarding Creditors”. Make two copies of all forms. The originals are for the clerk. One copy is for your spouse, and the second copy is for your own records. File the documents with the court. There are several locations available – choose the one nearest you. Be sure to arrive at least a couple of hours prior to closing to ensure that the staff will have time to process your paperwork before their work day is done. Keep in mind that do-it-yourself doesn’t have to mean you can’t get help from someone with experience. If you find any aspect of finding, filling out, and filing these forms confusing, let Affordable Legal Document Specialists help you make the process as simple and inexpensive as possible. . We can help you every step of the way and streamline the process by ensuring that all forms are filled out correctly before you file them. We cannot give legal advice. If we feel you need guidance that we cannot provide, we can refer you to one of the qualified attorneys we work with. We cannot represent you in court. You will have to go before the judge by yourself but we will make sure you are prepared with everything you need. We are a FRACTION OF THE COST and we will come to your home for a FREE consultation. Remember that a do-it-yourself divorce in Arizona doesn’t have to mean you can’t get help from someone with experience in these matters. If you find any aspect of finding, filling out, and filing these legal divorce forms confusing, be sure to ask us for help. At Affordable Legal Document Specialists, we know the system. We will help you navigate through completing the paperwork for your divorce in AZ with as much ease as possible. To get started, fill out the form below and we will contact you to set up your free consultation. If we aren’t able to help you, we have relationships with and can refer you to several attorneys who are committed to helping you. We’ll do everything we can to put you on the right path!